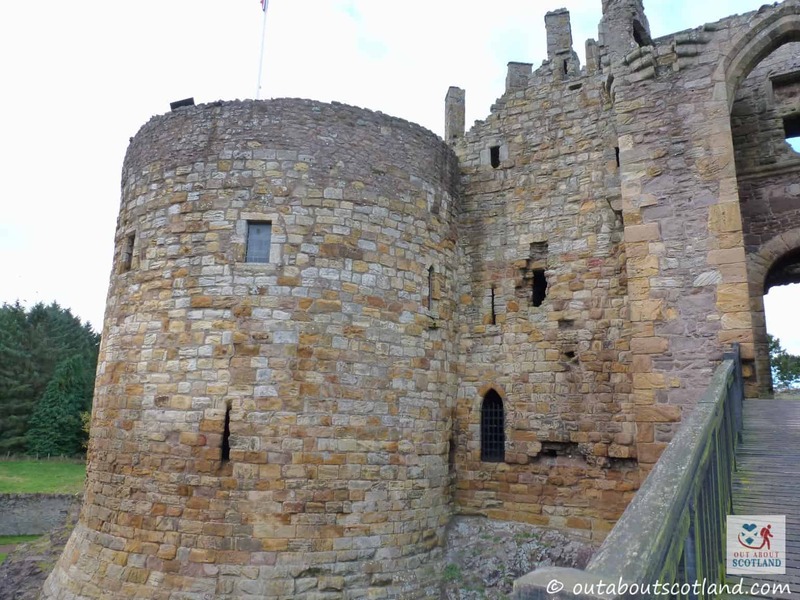 Dirleton Castle is a medieval fortress in East Lothian that you’ve probably never heard of, and yet it offers a fascinating glimpse into Scotland’s history that’s definitely worthy of a visit. 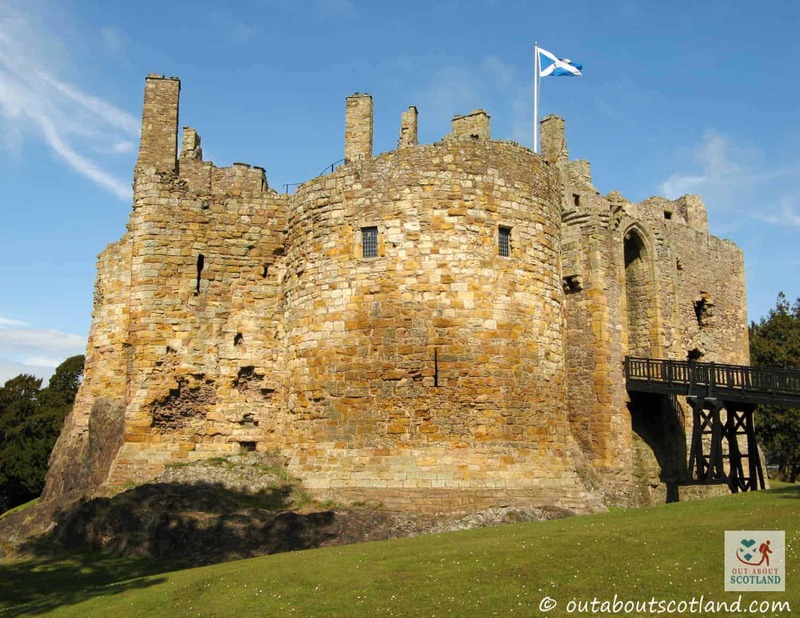 Located in the pretty village of Dirleton, the castle has been the focal point of the surrounding area since its construction in the mid-13th-century, and during that time it’s served as the family home to three successive noble Scots families. 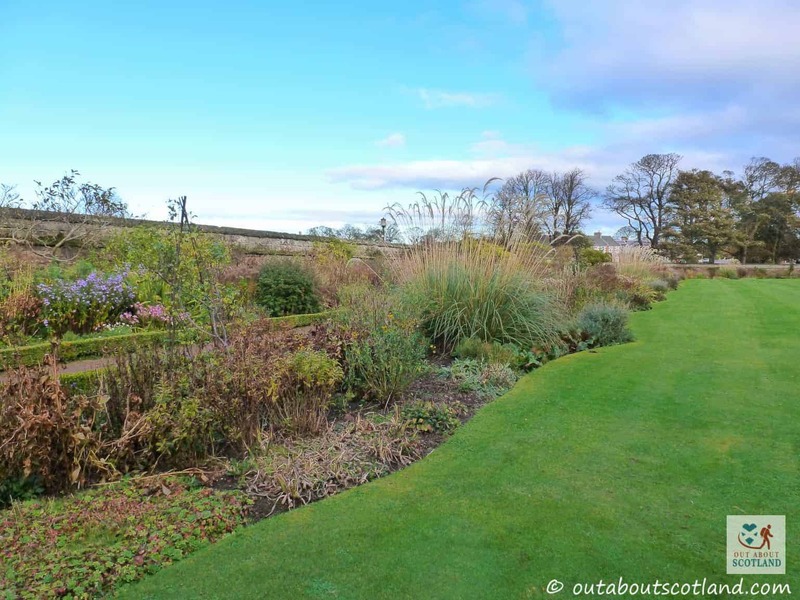 Make no mistake, this is a historic site that’s well worth seeing, not only for the entrance towers which are some of the oldest of their type in Scotland, but also for the enormous gardens which house what is officially the longest herbaceous border in the world. I think it’s safe to say this is one attraction that’s full of surprises. Your journey begins with a very peaceful walk through the trees of the Dirleton estate where meandering paths take you alongside impeccably maintained flowerbeds and lawns, before your eyes settle on the imposing curtain walls of the castle, perched on top of a huge rock outcrop that must have made it an almost impenetrable fortress 800 years ago. 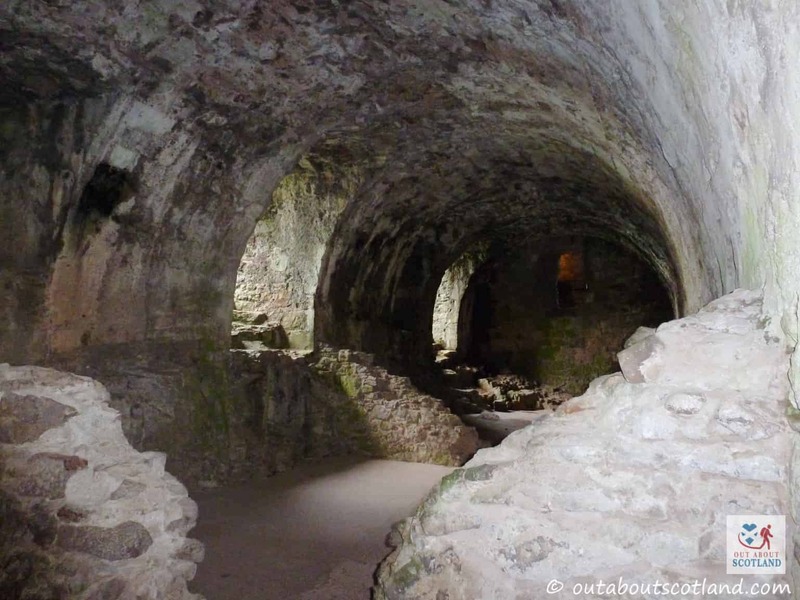 Although much of the fortified building is in ruins it’s still an impressive place to walk around, and there are enough interesting features throughout the site that you’ll easily be able to spend a couple of hours exploring what’s on offer. 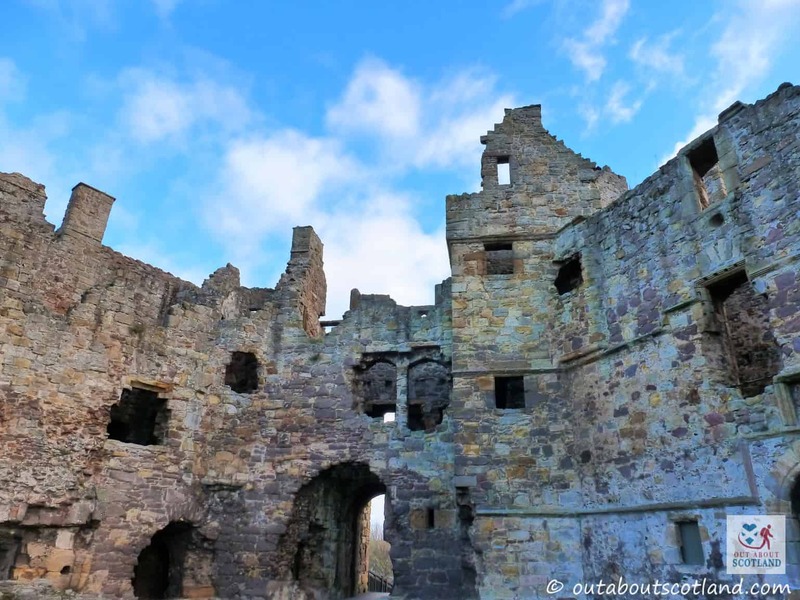 There’s actually loads to see at Dirleton Castle, which is surprising as it’s one of Historic Environment Scotland’s lesser-known sites. Firstly there’s the castle itself, an impressive 13th-century fortification that houses a great hall (now roofless and so open to the elements) with its huge stone buffet, a large dome-roofed vault below, the two enormous towers, an equally enormous dovecot that at one time housed over 1000 pigeons(! ), and possibly the nicest landscaped gardens that I’ve ever come across at a historic site. In fact, many people come to Dirleton just to enjoy the gardens, and to be honest who can blame them? 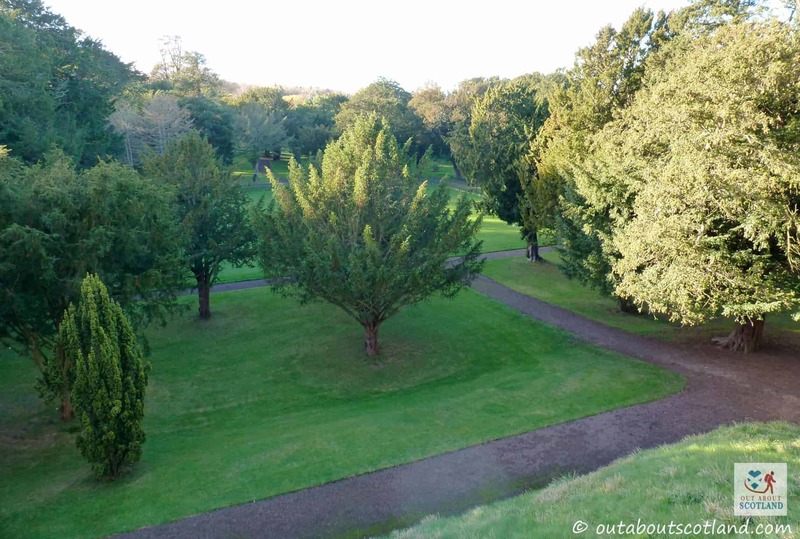 It really is a very peaceful place, especially on a summer day when the borders of flowers are in full bloom, and as it’s relatively tourist-free it makes a great place to stop off for a picnic after a visit to nearby North Berwick. As always with HES sites there are plenty of information boards so adults can learn a few new things about the history of the castle, and it’s a brilliant place to let the kids off the leash for an impromptu game of hide and seek. And while there isn’t a whole lot to do in Dirleton village you can at least head 2 miles up the road to North Berwick to enjoy its shops, cafe’s, and beaches. 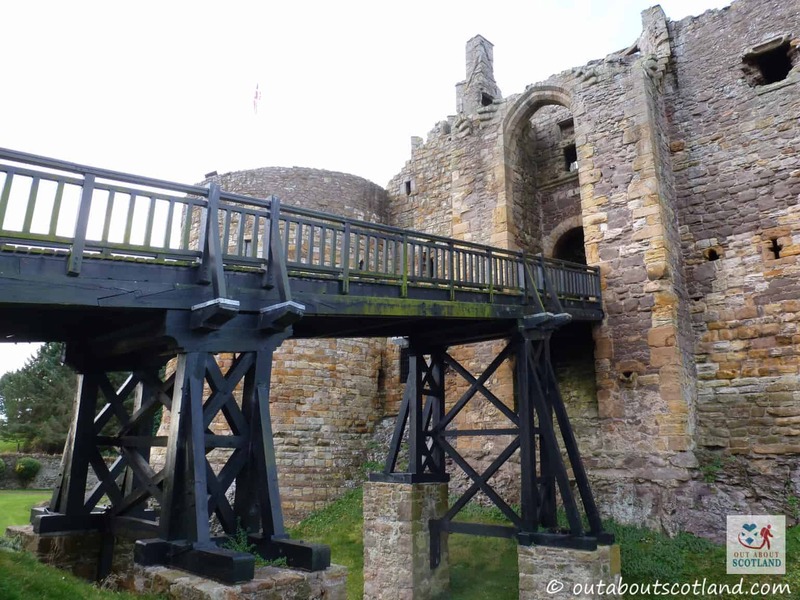 All-in-all Dirleton Castle is an unexpected gem of an attraction. 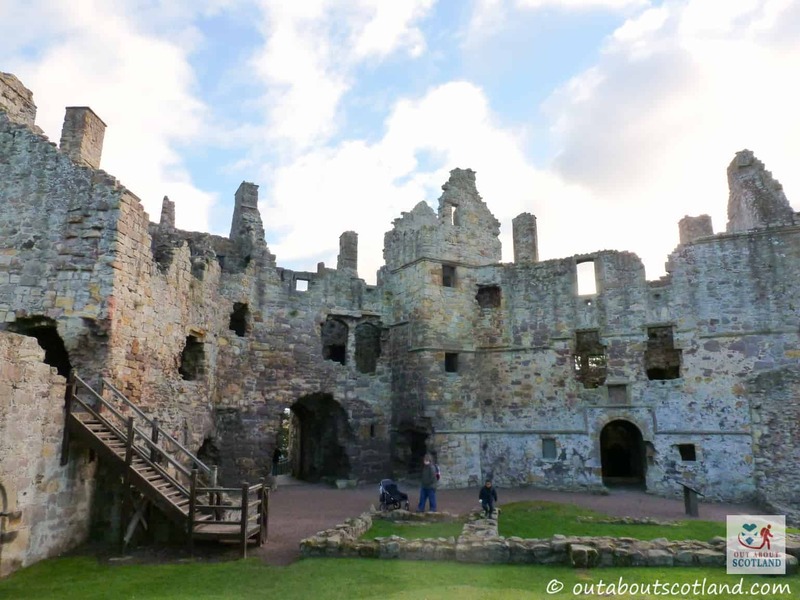 Dirleton Castle was originally built as the family home of the de Vaux family in the early 1200’s, and it was at this time that the imposing towers that dominate the castle entrance were constructed. 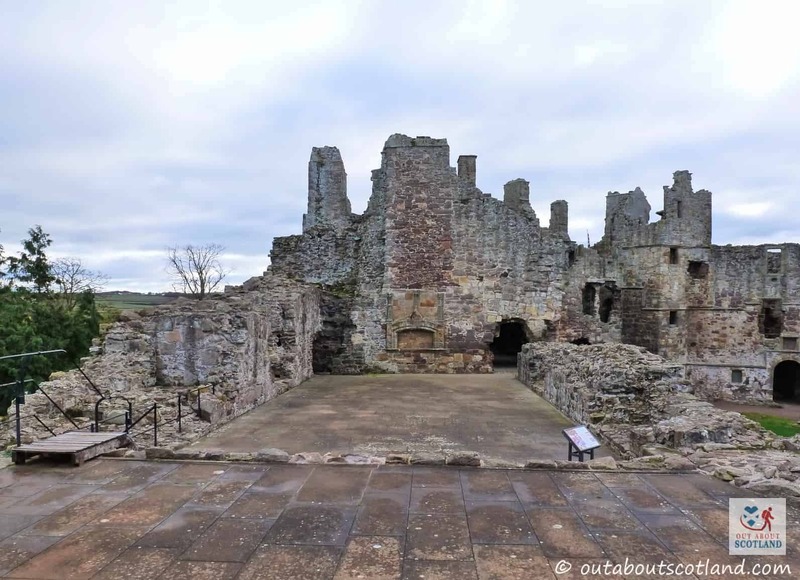 Though originally from France, the de Vaux family were greatly favoured by King David I of Scotland who bestowed them with the barony of Dirleton, along with a considerable amount of land. 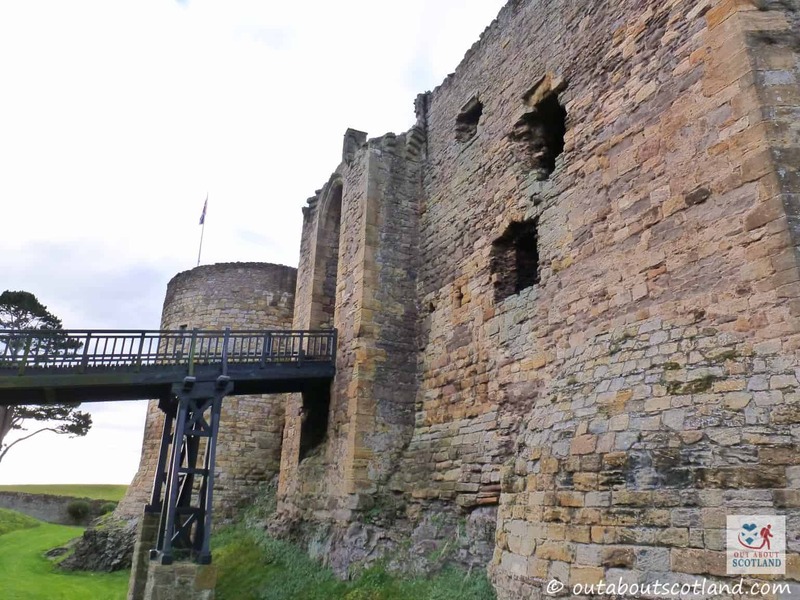 But unfortunately for the de Vaux’s their time in power came to an abrupt end during the Wars of Scottish Independence, and after Dirleton Castle succumbed to the siege engines of English forces the de Vaux’s were forced to give up their new home. 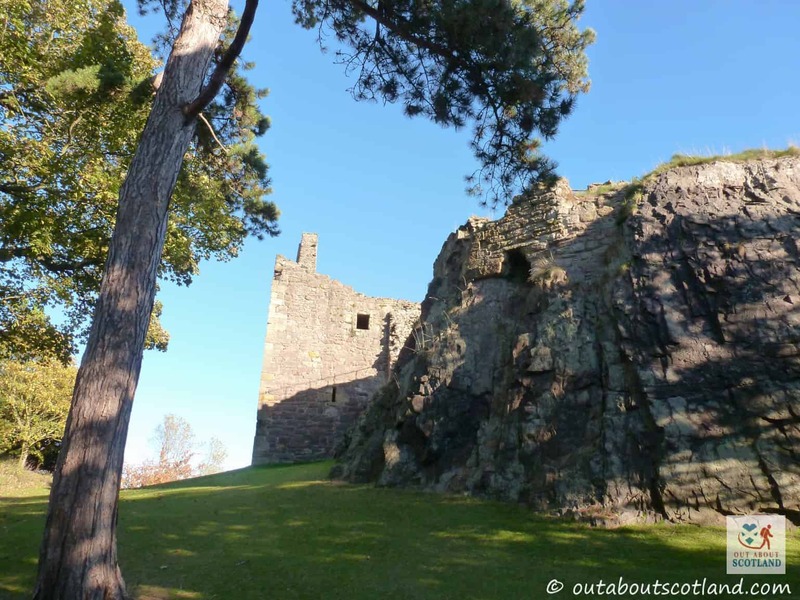 Dirleton passed in and out of Scottish and English ownership several times before being handed to the Haliburton family, who subsequently became extremely powerful thanks to an act of bravery by Sir Walter Haliburton in the 1420’s. At the time King James I had been captured by the English, and Sir Walter had offered to surrender himself as a hostage in order for the Scots king to be freed, and on his release he was rewarded by being made Treasurer of Scotland by the grateful king. 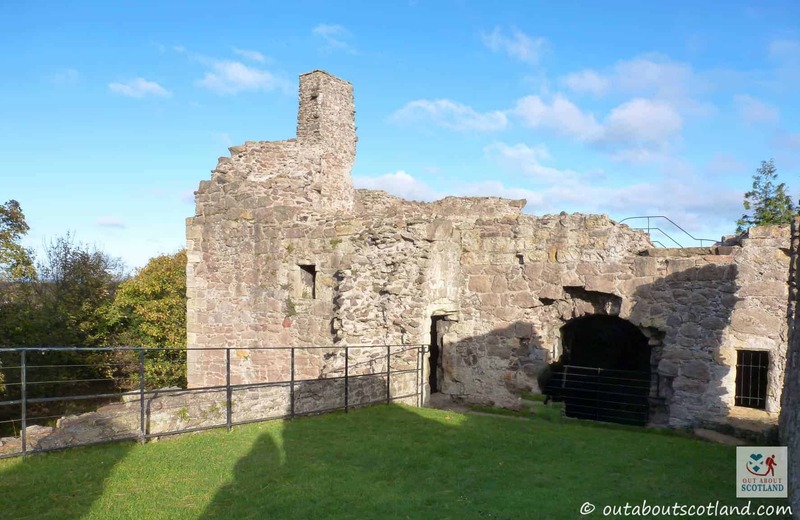 The riches that this role brought to the Haliburton family enabled them to extend Dirleton Castle extensively, with the original towers being heightened and a new gatehouse, hall, and tower house being added shortly after. Although the Haliburton’s were wealthy, their riches were slowly spread out amongst other families when Patrick Haliburton died in 1505 due to the fact that there were no sons in the family to pass his inheritance to, only daughters. 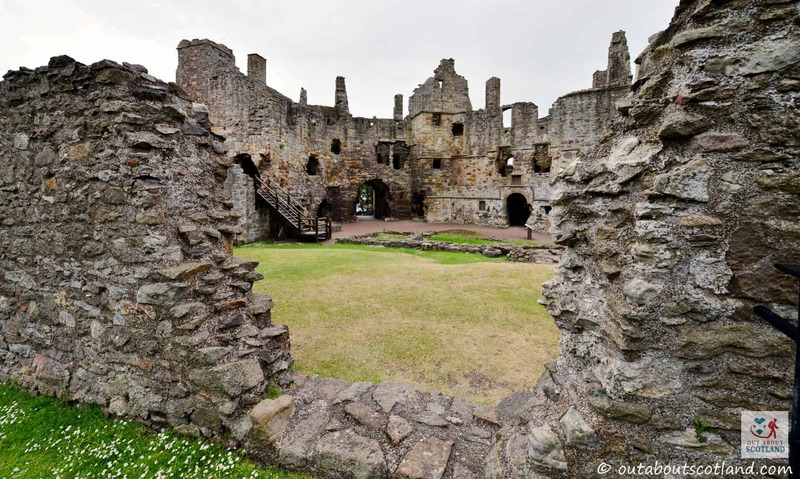 The eldest daughter, Janet, married the 2nd Lord Ruthven in 1515, and so Dirleton Castle, along with the lordship of Dirleton, passed over to the Ruthven family. 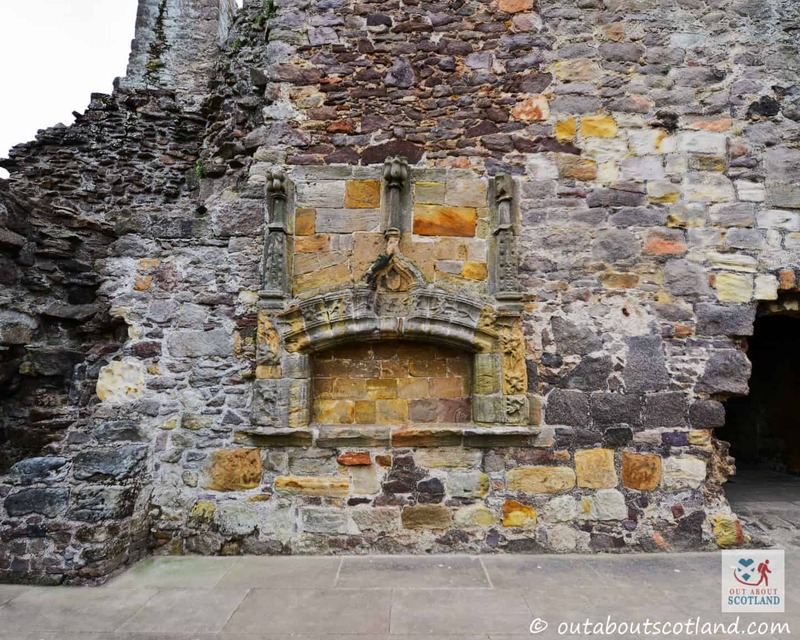 Unfortunately for the Ruthven’s they were later embroiled in a conspiracy that led to the castle being forcibly given to yet another Scottish family in the early 1600’s, when Patrick Ruthven joined the group that murdered the private secretary of Mary Queen of Scots. Although he was pardoned for his involvement with that murder, Patrick is believed to have been part of a later assassination attempt on King James VI by his sons, John and Alexander. 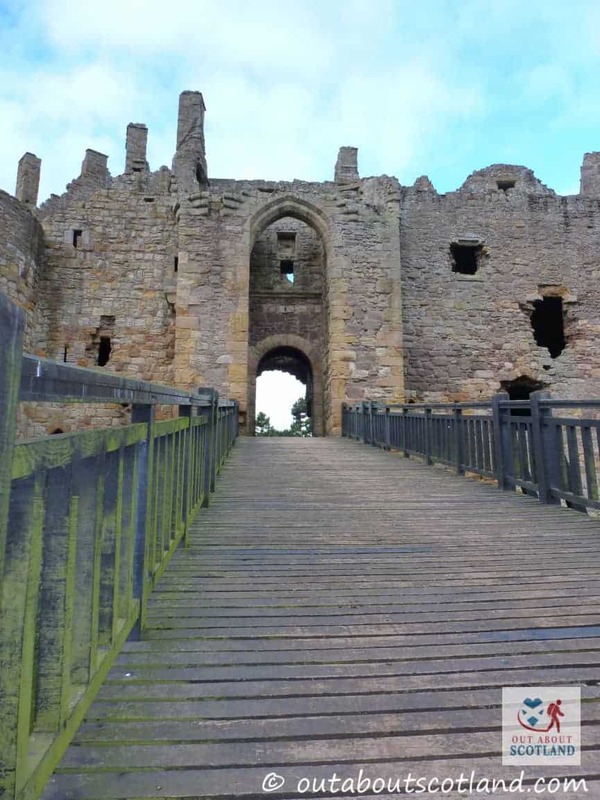 The assassination failed and Dirleton Castle was yet again forcibly taken from its owners, and for the next three hundred years it passed in and out of the ownership of various wealthy Scots. 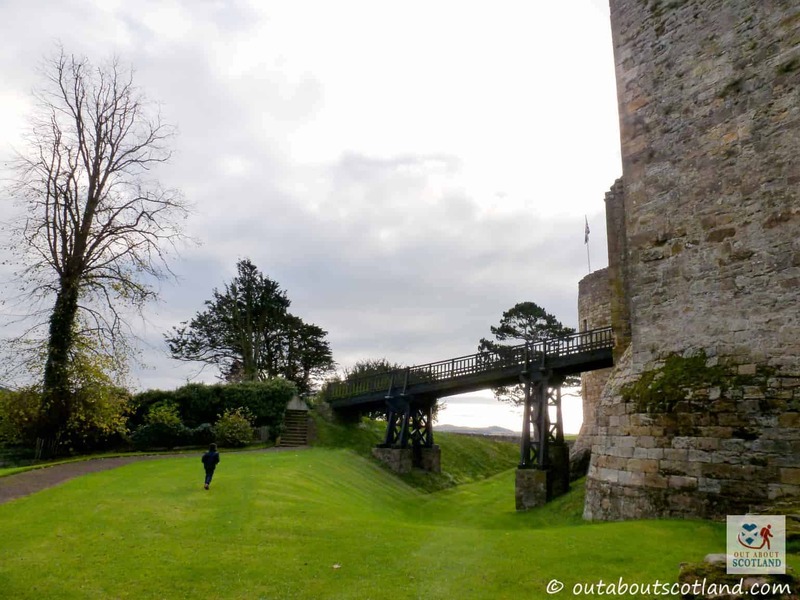 During this time the grounds were extensively landscaped and the castle became more of a centrepiece for the gardens than a family home, and with the last private owner moving into the nearby Archerfield estate in the late 1600’s, Dirleton Castle was allowed to fall into ruin, until it finally passed into state care in 1923.